I don’t get to use superlatives enough anymore. Which is why I’m glad that I can finally say that we had a chance to talk this week with Geel. 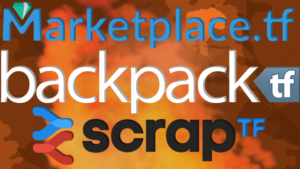 He is the co-owner of the three largest trading resources in Team Fortress 2; Scrap.tf Marketplace.tf and now finally Backpack.tf. It’s hard to see it any other way. Geel is the most important man in TF2 trading. The Breadmonster plushie from Welovefine.